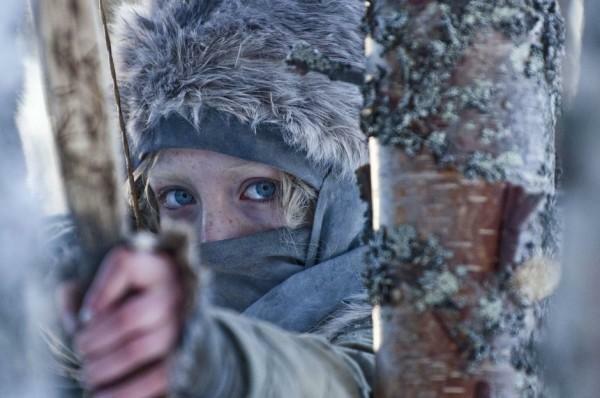 We learn early on in Joe Wright’s Hanna that the girl’s father removed her at a young age to the remotest, winteryest part of Finland to have her grow up learning combat and survival techniques. One day as she’s walking through the woods, a low-flying plane crosses over her, and she raises her face to watch it. Then she shrieks — an otherworldly screech that’s so unexpected we’re not quite sure how to read it. Is it childish joy, fear, or some emotion unique to a fractured fairy-tale princess like Hanna? This is a great action movie. It’s jaw-dropping, funny and weird, and full of terrific characters — when I say that Cate Blanchett is the weakest link I mean no insult to her but high compliments to the entire cast. 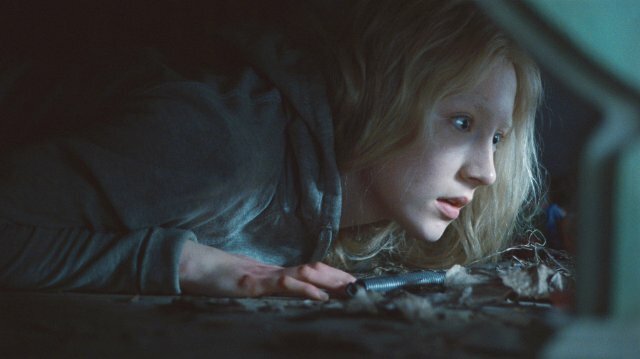 Best of all is Saoirse Ronan, who inhabits the part with such sureness and eerie emotional range that we never doubt for a moment that she is exactly what she’s supposed to be: a teenaged girl capable of taking out entire regiments of bad guys, yet possessed of an innocence entirely appropriate to a fairy-tale Cinderella. Ronan has the slightest build (is she 12? 16? 18? it could be any of those) yet when she drags a 200-lb reindeer through the snow or races across a Berlin landscape, you feel absolutely that she’s capable of anything. What makes this a great movie is the cross-pollination between action and fairy tale. Unobtrusively, the movie intersperses its action sequences with moments that evoke ancient tales — the girl who needs to return to her father, the evil stepmother (Blanchett, of course), the girl’s first date with a boy — only to blow up the outcomes into odd, spiraling new narratives. Here’s the thing about fairy tales: in general, characters often seem driven by the internal logic of the tale to behave in ways that seem preordained. Stepmothers are wicked. Children are easy targets for bad guys, or they get themselves into binds due to their innocence. Heroines either succeed or they fail. Scorpions must sting — it’s their nature. But what if the heroine decides to take herself out of those equations? Like the Eldest Princess in A. S. Byatt’s terrific The Djinn in the Nightengale’s Eye, is it possible to change the story, or is she hopelessly caught in it? Dropping someone like Hanna into the real world has unexpected twists and turns. 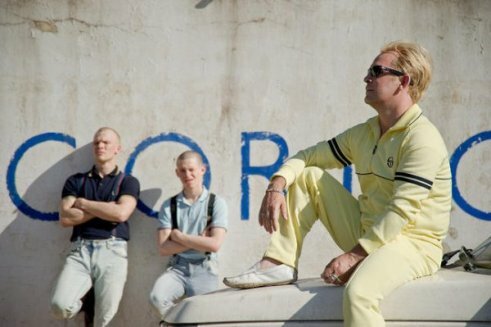 First of all, most bad guys don’t look like Isaacs (Tom Hollander, above). When he’s recruited by Blanchett, he’s helping to run some kind of pervert’s wonderland of a nightclub; with his big eyes, unformed baby face, small stature, and penchant for track suits in Easter-egg colors, he seems infinitely more sinister than the white-power type henchmen he hires. Especially when he tries to hunt Hanna down while whistling a little tune: he’s terrifying. So what does all of this amount to? I’m not going to make any claims about Hanna being something more than a great action movie with a terrific female lead, a movie made all the better for its twisted take on the fairy tale. By the time she gets to an abandoned amusement park outside Berlin and walks into a strange little house, the fairy tale seems to have barrelled toward an inevitable conflict (and what a strange little house it is: all the better to trap her). If the movie is grasping at a larger point — about parenthood, feminism, or corrupt governments, for example — I didn’t see it; in fact, it was somewhat refreshing to watch an action film that strives only to be a great action film. Watch it in that spirit.